More than 63% of online searches for local businesses, services and attractions are being performed on smartphones and tablets. The percentage of out-of-town visitors using mobile devices to find museums, historic sites and tours is even higher. If your attraction or program doesn’t appear in mobile search results, you might as well be invisible. Here are 3 quick and easy ways to increase your mobile visibility. They are all free and none of them require you to do anything to your website or even have a website for that matter. Maximizing your presence on Google My Business will yield instant positive results. Prior to 2014 Google’s small business interface was called Google Places. If your attraction was listed in Google Places, it was automatically added to the new My Business platform. The first step is to see if you have a listing and if you don’t, to create one. Go to www.google.com/business and claim the listing for your business or organization. Just follow the prompts and fill in the blanks. If you already have a listing make sure all the information – address, hours of operation, phone number, web address, etc. – is correct. Add some nice images and you’re set. This is pretty straightforward, but there is a frequently asked questions page you can refer to if you get stuck. Once you complete this simple process, you will appear in Google search results, on Google maps and in Google+. People will be able to discover your attraction and learn what you have to offer. They will also be able to find your location on a map, get customized driving directions from Goggle and call you with one click. More and more travelers are bypassing local visitors’ bureau sites and going directly to Trip Advisor’s “Top Things to Do” lists for sightseeing and activity recommendations. This trend is easy to understand. Trip Advisor contains 225 million consumer reviews of 150,000 destinations and half a million attractions and people regard the reviews as reliable. If your site, museum or tour is not listed, add it yourself. Click here for our article on how to claim and set up your profile. If your attraction does not appear on the list, or you are ranked near the bottom, don’t despair. This is ridiculously easy to fix. Start asking your customers and visitors for reviews. Say something like, “If you enjoyed the tour, could you give us a review on Trip Advisor? It helps other people find us.” The more positive comments you receive, the higher you will appear in the "Things to Do" list. Trip Advisor has free window stickers, widgets that add their logo to your website and cards you can give to customers to remind them you'd like reviews. Another great way to become more visible is to encourage your visitors to post about where they are and what they are doing. Most people are inclined to do this anyway and will happily oblige. Ask your customers to check in on Facebook. This is how it works. A visitor arrives at your site, opens Facebook on her smartphone or tablet and clicks the check in icon. Her device uses its GPS to determine her location. With one more click she generates a post that says, “I’m at the Rock and Roll Hall of Fame” or “I’m at the Royal Ontario Museum” or “I’m at (fill in your name here).” As people react to the post by liking, commenting and sharing it, your attraction’s name spreads through your visitor’s social network. A Facebook check in can easily reach several hundred people. If your site does not appear on people’s mobile devices when they attempt to check in, add it yourself from any smartphone or tablet. Facebook check ins are free word-of-mouth advertising. They are also recommendations. They are so valuable, many restaurants and shops offer incentives such as free desserts or discount coupons to customers who check in. How could you encourage check ins at your location? Sometimes just placing a sign suggesting check ins near where people get their tickets or start the tour is enough. If you restrict photography, revisit that policy. Is it really necessary? People love to post pictures of themselves and their friends doing interesting things on social media. If you prohibit pictures, you are passing up a powerful, free word-of-mouth advertising opportunity. If you really cannot allow photography, consider creating a special selfie station outside or at the entrance to your facility. Have your costumed staff or volunteers offer to pose with your visitors at the end of the tour. You could provide a few props like hats and allow the visitors to wear them for photos. 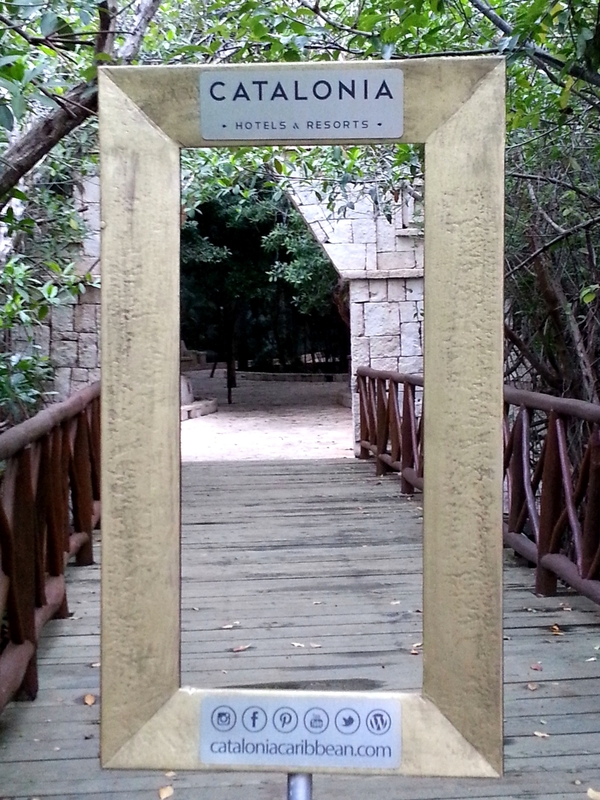 Catalonia Hotels placed picture frames on stands at strategic spots throughout their Mexican resorts. Even though people are encouraged to take pictures wherever and whenever they like at the resorts, the frames get quite a workout. And each frame includes the hotel name and web address. If you manage a Victorian-era house, think about setting up an ornate oval frame in the yard with the house in the background. 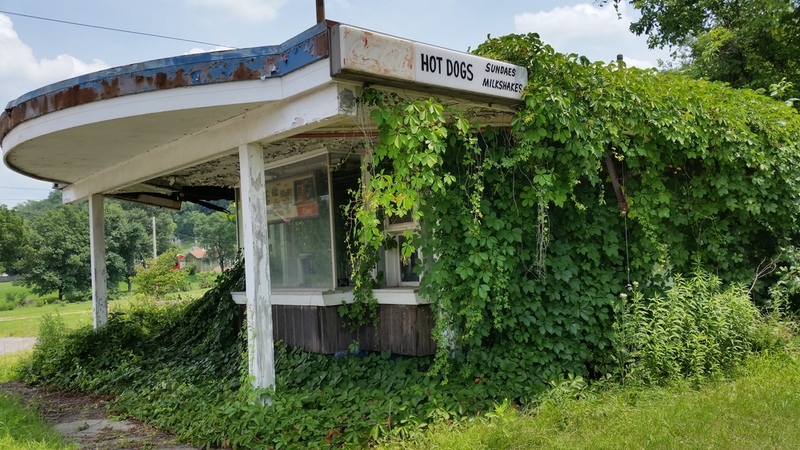 What other ways could you adapt this idea to your location? By following these simple steps, you will not only reverse your disappearing act, your name and photos of people enjoying your attraction will be percolating through the web in no time.